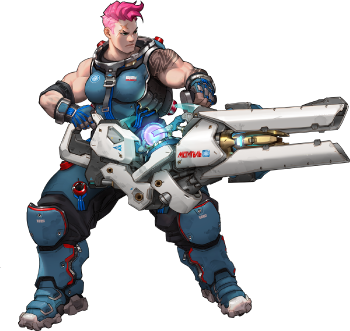 Zarya one of the strongest tank heroes in overwatch and even better as a counter pick. That’s not to say she doesn’t have some Zarya Counters of her own. Zarya’s general strategy is dealing damage while shielding her offensive and support heroes, which in turn will allow her to do even more damage. Thier are very few effective Zarya counters available in overwatch. The best ones are Reaper of course, Pharah is another since Zarya has a hard time hitting her in the air. For that reason, Pharah is seen as one of the best Zarya Counters. If Zarya is being played poorly she will do very minimal damage while being almost useless. Played Correctly she can be unkillable as well as making another team invulnerable at key moments like during a genji Ult or Reaper Ult. With enough Energy built up, she can out damage most heroes within overwatch and even melt other tank heroes. Pharah: Counters most heroes who struggle to with long range damage, zarya kill pharah is the sky if she is close enough. Experienced Pharah players will not let that happen and as such she one of the Zarya Counters listed above. Reaper: Can destroy zarya if her shield is down. However when her shield is up no heroes let alone one with reaper’s damage should ever try to damage Zarya, as it will build up her energy and allow her to shred enemy heroes easily.